You are here: Home / US Powerball News / New US Powerball Jackpot Winner! New US Powerball Jackpot Winner! Can you think of a better way to celebrate the 4th of July than with a US Powerball jackpot win? Ha – we can’t either! And the funny thing is, that’s exactly what happened to one very lucky player who managed to correctly guess all the winning numbers for last night’s US Powerball draw. The winning numbers were 3, 6, 14, 18, and 42, and the winning set of numbers was completed by Powerball number 21. In addition to our lucky Powerball jackpot winner, who has yet to step forward, four more players managed to get all the main numbers right! Two of them won a fabulous prize of $1 million, but the other two chose a better strategic approach by selecting the potentially fantastic Power Play option. The result? These two players now own $2 million! Yesterday marked the 9th US Powerball jackpot win this year, and a total of 1.258 billion has been distributed in jackpot winnings so far. The current jackpot is the ever impressive $40 million default jackpot prize, and as this year has shown us, big wins are ranging anywhere from $40 to $564 million! UK Players – Make it Big, Make it Count! A lot of lottery fans seem to be under the misconception that they can’t play because they don’t live in the country of the lotteries they’re interested in. If you share these believes, it’s time to know that they are simply untrue! 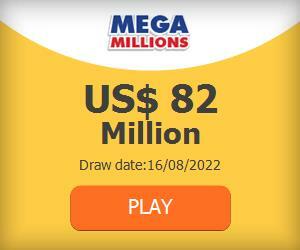 If you reside in the UK but want to play US Powerball, you can easily do so by playing US Powerball online! Just click the “play now” button in the upper right corner of this window, and $40 million could be yours by mid-week!